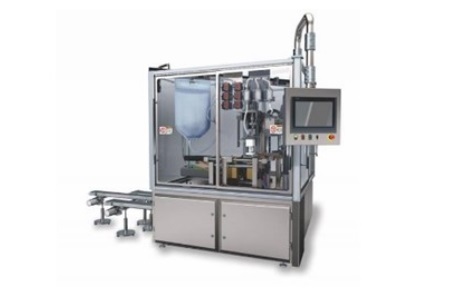 Weiler Engineering, Inc. recently introduced to the pharmaceutical industry its next generation ASEP-TECH Blow/Fill/Seal (B/F/S) machine. This compact laboratory-sized machine, which measures approximately 100-in. H x 70-in. W x 80-in. D, answers recent drug manufacturing demand for low-output production of pharmaceutical products and/or small development batches using advanced aseptic technology. Weiler Engineering is America's leading provider of aseptic Blow/Fill/Seal liquid packaging machines for pharmaceutical and healthcare applications. Continuous innovation and incorporation of the latest technological advances in equipment design and systems assure our customers of the highest level of quality in the production of sterile liquid products. Since 1959, Weiler has brought innovation in design, development, technology, validation and regulatory science to each project. Weiler is committed to the highest standards of excellence and to further expanding our products and systems to enhance patient care.